Each fishing trip has its own beauty and memories. 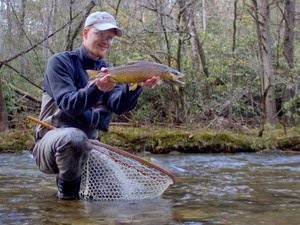 Some trips are rooted in the familiarity of a favorite stretch of stream while other trips are memorable as the first trip to a stream or section of water. 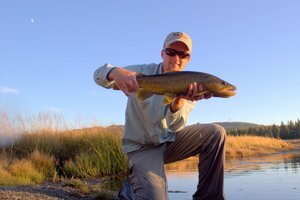 This year I have been making an effort to break out of my normal fishing routines, and I admit it can be hard. 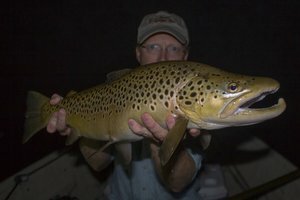 The great thing about water you fish regularly is that you know what to do without thinking too hard. On new water, it is possible to overthink the situation even though you know deep down that you should approach it the same as all of the other area freestone streams. 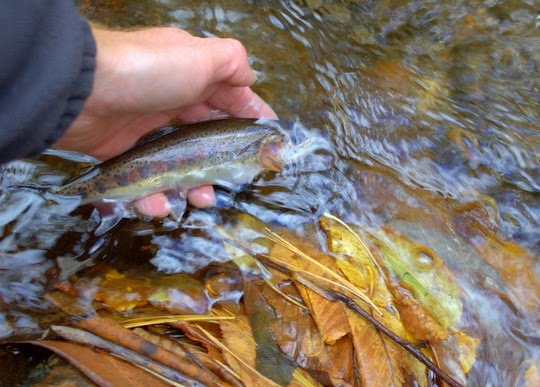 During my camping trip to Cataloochee, after a restful night that wasn't as scary as it could have been, I was determined to fish some new water. 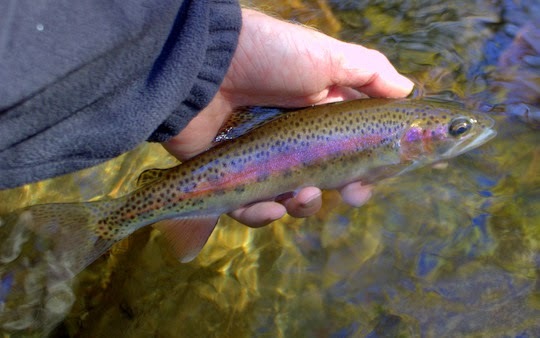 That's relatively easy for me to do in Cataloochee since I have not fished there as much as some drainages closer to home. The methods would be pretty similar though so I still had that comfortable familiarity with just enough newness to keep things interesting. The stream I chose to fish was like a lot of the North Carolina side streams. There was a distinct lack of large pools. 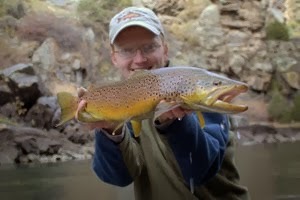 Instead, a distinct emphasis on flat glides of pocket water that can be a little tricky to find fish in were the norm. Early on a cracked the code of where to find fish. 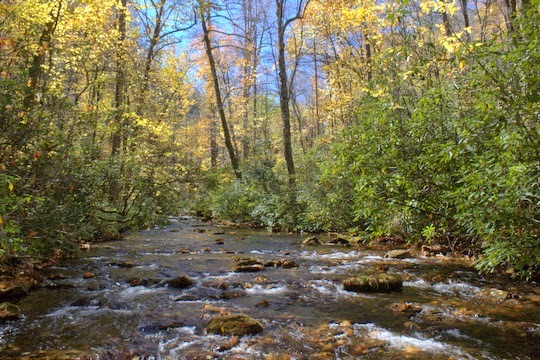 That's important as it allows the fisherman to focus only on prime water while discounting large sections of stream. 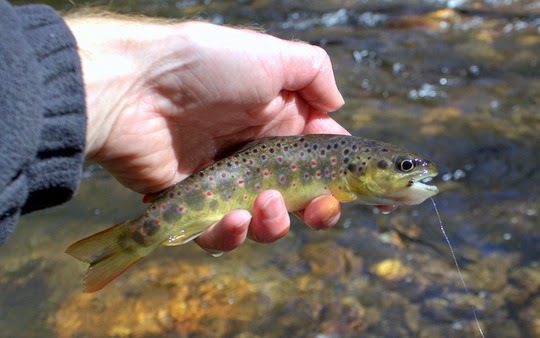 In the spring, summer, fall, and winter, fish will move to different areas to hold, rest, and eat depending on factors such as streamflow, time of day, hatches, water temperature and the list could go on and on. On this trip, the fish were in the middle to rear of the pockets and small runs but were holding tight to structure which could be as simple as a small rock. A dry/dropper rig seemed appropriate for this type of water. An October Caddis dry worked great on top with a little bead head nymph I'm working on picked up it's share of fish. I was fishing a 9' 5 weight Helios rod with a leader around 8 feet long. Not long into my excursion, I caught a brook trout and then another. According to the Park's distribution maps they weren't supposed to be this low. 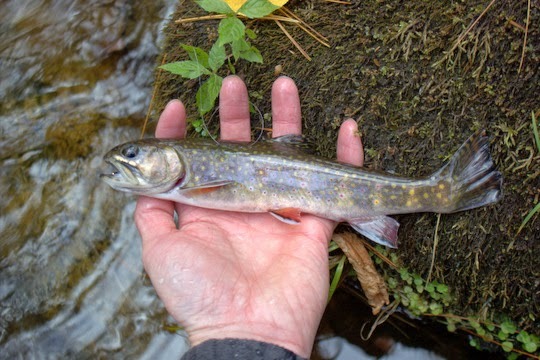 That's one thing I love about Cataloochee: you can find brookies throughout the whole valley. Moving on up the stream, I began catching enough rainbows to keep things interesting. The fishing was neither as good as I had hoped nor bad enough to cause me to bail on this stream and find another spot to fish. That's probably actually a good thing. Those rare days were everything works and every fish eats can spoil a fly fisher if they come along too often. 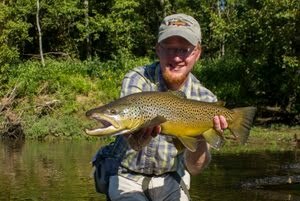 Instead, days that hint at the possibility of fantastic fishing are what keeps bringing me back for seconds and thirds. Returning to recreate those magical perfect days rarely yields as good a time as one remembers, and this applies in most areas of life. When you do find a stream that is a little bit of a tease, you can go back and have a good time regardless. If it doesn't perform like an all-star, you can just accept that it fished about as you remembered. On the other hand, if it fishes better than anything you have sampled in a while, you can be satisfied that your intuition paid off. Eventually, I found a few more brook trout and even one small brown trout followed quickly by a tiny young of the year brown. None of the larger browns were around and interested in playing on this particular day, yet another reason to return I might add. As the sun slowly shifted past noon, I started thinking about hiking out. By 3 it was time to go. My cousin and his wife were supposed to be joining me, and I wanted to get back before they arrived in camp. The hike out proved that I had covered around a mile of stream in approximately 6 hours. Next time I'll hike farther before I start, but at least I can now say I've fished that particular stream. Want Christmas a Little Early?